Redwood City, CA - Coach Reynoso has released the Colts 2016-17 schedule, which has them in San Jose Tourney, John Wallace Memorial Tourney at Ohlone, Monterey Classic, and the Kris Kringle Invitational at Santa Rosa. REDWOOD CITY, CA - Sophomore Rodrigo Puliceno has been selected to 1st Team All-Conference. Rodrigo who nursed a sprained ankle for half of conference was honored by the conference in how dominant he was during those games. For the season Rodrigo averaged 13.9 PPG, 10.4 RPG, and 2.7 APG. Along with his All-Conference selection Puliceno is entertaining multiple offers from top D2's in the country such as Western Oregon, Western Washington, Hawaii Pacific, Gannon, and many others. REDWOOD CITY, CA - Rohndell Goodwin, former Colt continues to be successful no matter where he goes. Rohndell was the second leading scorer on the team, and got the nod for Honorable Mention All-Pacwest. REDWOOD CITY, CA - Manny Martin seems to have found another place to call home. He made an immediate impact this year for LSU Shreveport as he racked up 2 Player of the Week Awards, and a 1st Team All-Conference Selection, in addition to maintaining a 3.8 GPA. The Colts are proud to see Manny succeeding at such a high level with academically and athletically at LSUS. REDWOOD CITY, CA - Former Colt and Northern California Player of the Year Rohndell Goodwin is keeping it rolling at Chaminade as he was just named PacWest Defender of the Week. REDWOOD CITY, CA - Manny Martin has been one constant for LSUS this year as he continues to dominate the stat sheet, and shooting a great percentage from 3PT land and inside the arc. REDWOOD CITY, CA - After a great run last year and losing 4 sophomores, the young Colts are coming into the CCCAA Men's basketball season as the #19 ranked team in the state after the loss of their star sophomore guard Crisshawn Clark who will attend University of Pittsburgh next year and compete in the ACC for 3 years. Below is the link to a great piece written by Vytas Mazeika of the Daily News. REDWOOD CITY, CA - NorCal Basketball feature on this years upcoming Colts. 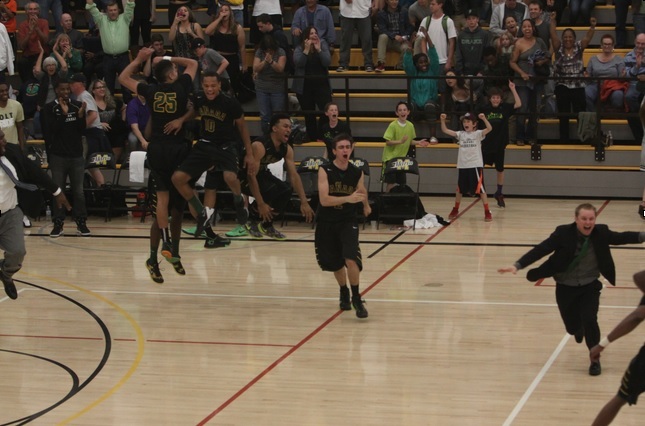 Talks last years success, program culture, and how Coach Reynoso keeps his guys going. REDWOOD CITY, CA - Cañada's very own Crisshawn Clark ranked as top 15 player in JUCO in Nation, and one of the top 3 Guards according to Sporting News Magazine. REDWOOD CITY, CA - Cañada Sophomore Crisshawn Clark has caught the attention of national powerhouse program's and conferences. He currently has number of schools on him such as Pitt, Oregon, Gonzaga, Cal, Utah, Saint Mary's, Utah State, Houston to name a few. He is looking at helping to lead the Colts back to the Final Four and capture a state title in his sophomore campaign. Arguably the best player in the state Clark can do it all according to Head Coach Mike Reynoso, "Shawn has the potential to be a pro...no doubt. If he matures and develops the way I know he will this year, everyone is in for a surprise for how good he really is. He is more consistent with his outside shot, can score it from anywhere, rebounds well, great vision, and defends. I don't think there is any question he is the best player in the state!" REDWOOD CITY, CA - Rodrigo Puliceno is about to continue his second year of junior college basketball with the Colts, and couldn't be happier to be finishing his JC career with the Colt family. When we spoke to Rodrigo about his upcoming sophomore season he had this to say, "I have seen the change of culture here at Cañada and feel like I am a good part of it, I redshirted when we were really bad and I am happy to see our success and hard work paying off. This place really is a family. "The Colts are excited to see Rodrigo's development in his sophomore campaign as he looks to establish himself as a D1 prospect. Coach Reynoso has high hopes for his sophomore, "I am really looking forward to seeing Rodrigo mature in the classroom and on the court, as he can set himself apart with his skill set and size. He has the potential to play D1 basketball if he puts in the work and is determined." REDWOOD CITY, CA - NorCal Rivals was in attendance at the NorCal jamboree this past week, and covered the Colts. Skyline Junior College in San Bruno, Calif. was the site of day 1 of the NorCal JUCO Summer Jamboree. Close to 40 college coaches attended day on of the two day event that featured primarily Northern California based junior college programs. Here are some player updates. Rodrigo Puliceno 6-foot-5 Wing Burlingame (Canada) 2011: Puliceno has a strong back to the basket game but needs to improve his lateral movement and quickness. Per his coach, the Burlingame alum has interest at the Division II level from Chico State, West Georgia, and Western Washington while Cal Poly and CSU Fullerton have inquired at the Division I level. Chris Bene 6-foot-7 Wing Sequoia (Canada) 2015: Bene is athletic and explosive despite being thin. The recent high school graduate had a strong dunk in one game and shows a solid mid range game. To be effective on the four year level, Bene will need improved dribbling and ball handling skills in addition to adding bulk. Case Dufrane 6-foot-8 F Half Moon Bay (Canada) 2015: After coming off of some productive and winning seasons at Half Moon Bay, Dufrane will need to adjust to the physicality and pace of college level competition. The Half Moon Bay product is wiry strong and has a good mid range game. He has a good back to the basket game but is better suited as a stretch four on the four year level. REDWOOD CITY, CA - Three Colt Sophomores graduated over the weekend in a beautiful ceremony in the quad of the Cañada campus. Each of them earning an Associates Degree, and receiving a full athletic scholarship to their respective 4-year institutions. These sophomores have laid the foundation of what it means to be a Colt, and will forever be a part of the Colt Family. Coach Reynoso stated, "They will be missed. I am very proud of these young men in what they have accomplished on and off the court. It is a journey that I have been blessed to be a part of, and they will forever be a part of our family" when asked about his sophomores. REDWOOD CITY, CA - On May 27, 2015 Cañada Men's Basketball Team Sophomores inked their National Letters of Intent (NLI) in a signing day ceremony in the Colt gymnasium. "This is what our program is all about, helping develop these young men as people, and as athletes. As well as providing a support system for them to be successful in the classroom, and get a free education when they transfer. This is the first of many to come!" Coach Reynoso added. REDWOOD CITY, CA - The Cañada Men's Basketball program announced yesterday that Chris Bene will be joining the family next season. The 6'6 Forward from local Sequoia High led his team to a CCS semi-final appearance, which was the first in many years. When Reynoso was asked about Bene's joining the team he told us, "I think Chris has a lot of potential, he has great athleticism, and we are excited to help refine his skills and get him stronger and tougher inside. We are excited that he is joining our family, and can't wait to get him in and start working." REDWOOD CITY, CA - Cañada Men's Basketball Program has been selected as a Top 24 program in the Nation and has garnered an invitation to Brad Winton's All-American JUCO Showcase in Florida in October. With hundreds of coaches in attendance from multiple four year universities, and all the top Division 1 programs in the Nation. REDWOOD CITY, CA - Congratulations to Rodrigo Puliceno who has been invited to Jerry Mullen's Camp in Dallas, TX in July. This camp features the top JUCO prospect's on the Western Coast's. REDWOOD CITY, CA - The Cañada Men's Basketball Team announced today that two stellar recruits will be joining the family next year. 6'8 F Case DuFrane, from Half Moon Bay High School is a dynamic athlete who can shoot from the outside and has nice touch, and footwork in the interior. The other is PG transfer from University of San Francisco, Frankie Ferrari. Frankie a high IQ player and knock down 3PT shooter will be a nice addition to the Colts roster. REDWOOD CITY, CA - The Cañada Men's Basketball Team has been invited to the prestigous Tohono O'odham in Glendale, Arizona Thanksgiving Week's National Tournament. This tournament is made up of the top teams in the country and will have over 60 Division 1 coaches in attendance with additional Division 2, 3, and NAIA coaches as well. REDWOOD CITY, CA - Sophomore and NorCal Player of the Year signs (NLI) National Letter of Intent to Chaminade in Honolulu, HI. Coach Reynoso states, "I am extremely happy for Rohndell, he picked a great school in the middle of paradise to finish his education for free. I am looking forward to visiting the Maui Classic next year." REDWOOD CITY, CA - Sophomore Kenny Hatch makes it official signing with Texas A&M International. Coach Reynoso adds, "Kenny is one of the hardest working players I have ever had the pleasure to coach. He will be an impact guy and team leader for Texas A&M International next year." REDWOOD CITY, CA - Manny Martin will finish his college basketball playing career at Wayland Baptist in Texas. "Manny has found a great place to continue his education, and basketball collegiate career. I couldn't be happier for him in this next chapter of his life." REDWOOD CITY, CA - After a devastating loss in the State Championships, the 4 Colt sophomores are all taking their official visit's within March and the month of April. All four sophomores will receive full athletic scholarships and continue their education and basketball success at a four year institutions. Rohndell Goodwin is drawing interest from the top D2's in the nation with the likes of (Chaminade, Angelo State, Alaska Anchorage, CSU San Bernadino, Cal Poly Pomona, and Tarleton State to name a few), Israel Hakim has interest from D1's such as (Cal Poly (SLO), Portland State) as of now, Manny Martin is drawing interest from top D2's as well as top NAIA D1's in the nation (SF State, CSU San Bernardino, UPike), and Kenny Hatch has D2's, and D3's interested in his services for next year such as (Fresno Pacific, Texas A&M International, Linfield, Puget Sound). However the chips fall for these outstanding sophomores it is a prideful feeling for Coach Reynoso, "This is what our program is about. Wins and losses come and go, but to see these young men's hard work pay off, and have their education paid for is the real prize." REDWOOD CITY, CA - Congratulations to sophomore Rohndell Goodwin and freshman Crisshawn Clark for their recognition from the CCCAA. Rohndell Goodwin received the honor of being named NorCal State Player of the Year, along with freshman running mate Crisshawn Clark bringing home the hardware for Freshman Player of the Year. Congrats again to these 2 young men again for being recognized, the future is bright for both of these young men. REDWOOD CITY, CA - After stinging loss in State Championships it eases the pain a little for the Colts by sweeping the State Awards. With Coach Mike Reynoso taking home the honors of NorCal Coach of the Year, Rohndell Goodwin NorCal Player of the Year, and Crisshawn Clark earning Freshman Player of the Year. REDWOOD CITY, CA - The Cañada Men's Basketball Team completely dominated Saddleback College for 40 minutes, never giving up a lead. Only to fall victim to a miracle of March Madness at the buzzer of regulation with 9.8 seconds left up 3 points. Saddleback drained a lucky shot from 35 feet out to send the game into OT, where Cañada eventually fell short with their best rebounder fouled out. REDWOOD CITY, CA - The Cañada Men's Basketball Team won a thriller 73-70 Saturday night when the beat the host College of Marin (#3 seeded) to advance to the Final Four in Cerritos, CA. "It is an extreme accomplishment for our guys and a testament to how hard they have worked to build this program up" Coach Mike Reynoso said. The Colts controlled most of the game, and were up 17 points in the second half before Marin surged for a comeback starting with 9 minutes left in the second half. The home crowd for the Mariners fueled the team's efforts and had Cañada fighting for every possession. However, in the end it was the sophomores that came up big, with Kenny Hatch coming up with two key defensive stops in the last 1:30 of the game, Israel Hakim playing lock down defense during the Mariners comeback, Manny Martin controlling the glass as he has done all season, and Rohndell Goodwin grabbing the game winning rebound and sinking two Free Throws to make it a 73-70 Colts advantage with 3.4 seconds left to win the game. The following links have a detailed game recap from newspapers. REDWOOD CITY, CA - The Cañada Colts advance to the Elite 8 with a win over San Jose City College 67-58. 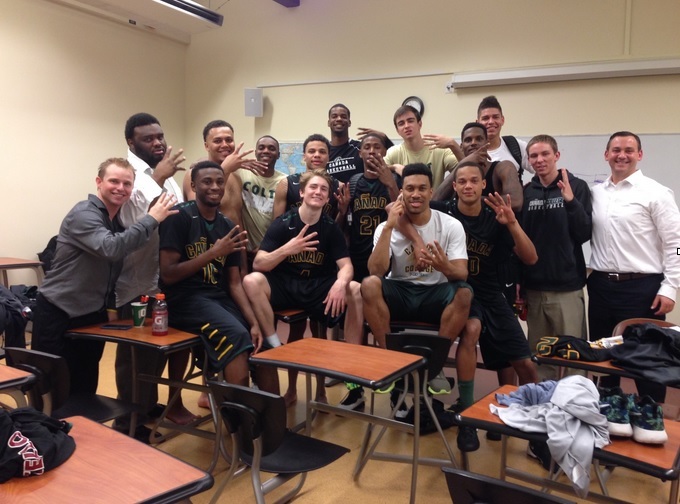 They travel to Marin on Saturday, March, 7 to play Marin College for the right to go to the Final Four. The game recap is detailed in both article links below. REDWOOD CITY, CA - Attached is a great article by Terry Bernal on the Cañada Colts. REDWOOD CITY, CA - The Colt sophomores futures look promising. Rohndell Goodwin is getting multiple looks from top Division 2 schools in the nation, along with Manny Martin who is dominating on the glass and is proving to be a handful to guard and contain. Martin is receiving interest from some of the top NAIA schools in the nation. Israel Hakim, is receiving attention from some low level division 1 schools, and Kenny Hatch is being sought after by some division 2 and 3 schools. REDWOOD CITY, CA - Freshman Crisshawn Clark has been ranked as one of the top freshman in the nation by Jerry Mullen, and has been invited to his Top 100 Camp in St. Louis this summer. Clark has been playing very well in every aspect of the game, he can rebound, score, and distribute. REDWOOD CITY, CA - The Cañada College Men's Basketball Team (12-1) captured it's 3rd straight tourney title beating Sequoias, DeAnza, and Delta to take home the hardware. Sparked by (Freshman) Thomas Alexandre, the Colts had to battle for the title in the championship game. Alexandre had 8 points off the bench in a huge momentum shift. Down the stretch, (Sophomore) Kenny Hatch and (Freshman) Deion Ellis were instrumental on the defensive end as well as adding in the go ahead bucket with 1:55 left. With the tourney championship the Colts jumped up the NorCal rankings #1 spot. "We still have a lot of work to do, we aren't finished. "Freshman Deion Ellis said. The Colts know what their end goal in sight is and are enjoying the success, but know what got them there is the hard work and focus during practice. REDWOOD CITY, CA - The Colts captured their second straight tournament title when they went out to Monterey and beat West Valley, Irvine Valley, and American River to claim the title. (Sophomore) Israel Hakim took home MVP honors and (Freshman) Crisshawn Clark was named to the All-Tournament Team. REDWOOD CITY, CA - The Colts continue their strong start and land at #9 in week 2 rankings. Check the link out below for details. REDWOOD CITY, CA - After a great first weekend where the Colts showed they can play with anybody, they get their first taste of moving up in the rankings. The Colts although proud of a great weekend are not satisfied. Freshman Crisshawn Clark said, "This is only the beginning for this program and this team, coach expects more from us everyday and for us to strive for perfection. Especially on the defensive end. We made a lot of mistakes defensively and can get a lot better." The Colts will look to continue their success this week as the play DeAnza, and San Jose City College. REDWOOD CITY, CA - The Men's Basketball Program here at Cañada has been profiled by numerous newspapers. REDWOOD CITY, CA - In the first tourney of the year the Colts showed to be a tough team to beat as they went undefeated and took home the Championship at the John Wallace Memorial Tournament at Ohlone. Capped by great all-around team effort's in all three games, MVP tourney honors went to (sophomore) Rohndell Goodwin, and All-Tournament Team went to (freshman) Crisshawn Clark. REDWOOD CITY, CA - Thomas Alexandre out of Murrieta Valley High School in Southern California is another piece to a exciting new Colts team. "Thomas adds tremendous basketball IQ, and shooting ability to the Colts. He has tons of potential to develop all the other parts to his game, and I am excited to see his growth and development as an athlete and young man," Coach Reynoso stated. REDWOOD CITY, CA - Deion Ellis out of McClymonds High School (Oakland) will attend and play basketball for the Colts next year. Ellis boasted numerous awards in his senior campaign averaging, 21 PPG, 11 RPG, 3.5 APG, 2 SPG, and 1.5 BPG while being selected as OAL MVP, 3rd team All-Metro, 2-time Oakland Tribune Player of the Week, February Player of the Month, as well as an All-State nomination. When asked what made him choose Cañada he said, "Cañada is a GREAT school, the scenery and campus are top notch. One thing that stood out to me is the family atmosphere here, there was a lot of love shown to me by the coaches, and players. I feel like this is a place where I can develop my game." Coach Reynoso believes that Deion not only has the skill set to be a great player, but possesses all the intangibles as well, "He is not only a great player who has a ton of potential, but he is a high character young man. Deion is the type of guy we want here at Cañada." REDWOOD CITY, CA - The Colts are adding depth to their perimeter line-up with sharp shooter Brian Garrett out of St. Francis High School, Mountain View. At St. Francis, Brian was a key piece to their CCS playoff run. What Coach Reynoso likes best about the addition of Brian is, "Brian comes from the tough WCAL where he knows how tough you have to compete, as well as on the academic side they prepare you for college very well." Coach also added, "Brian can really fill it up, scores the ball great." Knowing that the Colt culture is about respect and hard-work Crisshawn was eager to join the Colt family. “I really feel comfortable with the family atmosphere here and I am excited for the challenge that lies ahead,” Crisshawn added. The revamped Colts have big expectations from Crsshawn. REDWOOD CITY, CA - Manny Martin will return home to the Colts family to complete his sophomore season after taking a few years away from the game. Manny previously played with the Colts during the 09-10 season where he averaged 16.4 PPG, 11 RPG, and 3 SPG. “He is an explosive talent, and has a much more complete game now,” Coach Reynoso said. “I am excited for his future with the Colts and am looking forward to his development not only as a player, but as a student-athlete and young man,” Reynoso also added. REDWOOD CITY, CA - Freshman standout for the Colts has been invited to a top junior college showcase in Dallas, Texas in July. The event invites only 100 players, and will showcase some of the top 100 junior college players in the nation, and will have many of the top division 1 and 2 school in attendance. Israel Hakim is excited about this opportunity to compete and showcase his talents against come of the best players. REDWOOD CITY, CA - The announcement of 2014-2015 schedule has the Colts traveling to the Ohlone, Monterey, and Foothill tournaments, as well as road games vs. San Jose City, Marin, and Monterey. They will be home for 3 games during the pre-season facing off against DeAnza, Gavilian, and Redwoods prior to entering conference play on Jan. 7, 2015 in the toughest conference in California, the Coast North. REDWOOD CITY, CA - Sophomore Marquis Glenn out of Fremont High School (Oakland) accepts offer to play at University of Maine-Fort Kent on a basketball scholarship. Marquis was a Coast-North Conference Honorable Mention player his freshman season. In his sophomore campaign he developed and matured into a mentor and leader for a young Colts squad. Coach Reynoso said, "he is very proud of Marquis and how he has developed." Coach believes Marquis will be ready to make a big impact for the Bengals immediately. He also added, "this is what our program is about, developing student-athletes for the next level both on the academic and athletic level, this is a proud moment for our program as we see one of our family members go out and strive for success at the next level." REDWOOD CITY, CA - Freshman Israel Hakim's debut season was a breakout one; as he boasted 1st team All-Conference honors as well as Coast North Conference scoring champion (21.8 ppg). "Israel is a special type of athlete, he has the potential to give himself the opportunity to play at a very high level," Coach Reynoso. As an incoming freshman who decided to give up basketball and attend a four year for college for academics out of high school, Israel didn't need much time to get back into his grove on the basketball court. Israel has found a place where he can thrive academically and athletically. The Palo Alto High School, 2012 graduate has helped set the tone for what is to come from the Cañada Colts program in the future, and as it seems the programs future is bright as one of it's stars soars to success. REDWOOD CITY, CA - Cañada College has hired Mike Reynoso as the man to lead the Men's Basketball Program. Reynoso takes ofter after being an Assistant Coach with the program for the past two seasons. The Colts stayed in-house this time around looking for a new Head Coach, hiring Reynoso from within the staff. Reynoso is excited to continue and further the program with high character student-athletes, and will build the foundation of Colt Basketball on hard work, toughness, and dedication. The Colts bring in some standout incoming freshman such as Rodrigo Puliceno (Burlingame), David Hobbs (Carlmont), Kenny Hatch (St. Ignatius), and Israel Hakim (Palo Alto). In addition the Colts bring back some tough sophomores who are eager to start the new foundation for Cañada Basketball which should give the Colts a great position to be competitive in the powerhouse Coast Conference-North. 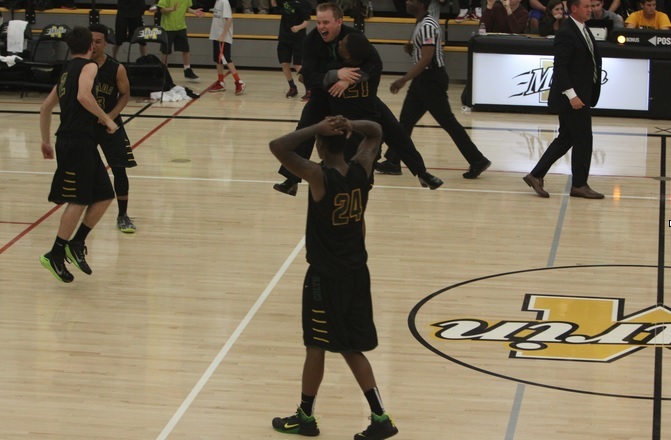 REDWOOD CITY, CA - The 2013-2014 Men's Basketball Schedule has been released. Cañada will host 8 home games this season, and, as always, home games are free for all students and faculty. You can see the schedule in its entirety. here. The Colts will open the season on Thursday, November 7th, across the Bay in Fremont at Ohlone's annual Jonathan Wallace Memorial Tournament (opponent to be announced). The Colts went 2-1 in this tournament last season, winning the Consolation Bracket. The home-opener will be on Wednesday, November 13th, at 5:00 pm, when Monterey Peninsula comes to town. Other notable games during non-conference play include at home versus De Anza, 5:00pm on Wednesday, November 27th (yes, the day before Thanksgiving), and an appearance in the Quinn Henry Memorial Tournament, December 13-15th, just down the way at Foothill College. Cañada will begin conference play January 8th with back-to-back road games versus San Francisco City then Foothill, before returning home to host Las Positas on Wednesday, January 15. REDWOOD CITY, CA - The Coast North Conference released the 2013 All-Conference Team on Sunday evening, and Cañada College Freshman forward Marquis Glenn was selected as Honorable Mention. Glenn (Fremont High/Oakland, CA) came on strong the second half of the season and led the Colts in scoring during conference play. "I couldn't be happier for Marquis. His work ethic and enthusiasm for the game made it a joy to come to practice everyday. It is satisfying to see him get recognition for something that is well deserved," said Coach Matt Stanley.